Little Tikes Smart Workbench Just $78.49! Down From $170! PLUS FREE Shipping! You are here: Home / Great Deals / Amazon Deals / Little Tikes Smart Workbench Just $78.49! Down From $170! PLUS FREE Shipping! Amazon is now offering this Little Tikes Smart Workbench for just 478.49 down from $169.99 PLUS FREE shipping! Little Tikes Construct n’ Learn Children’s Smart Workbench is the only interactive workbench that empowers kids to build and construct objects and elevates STEM play with a free downloadable app! 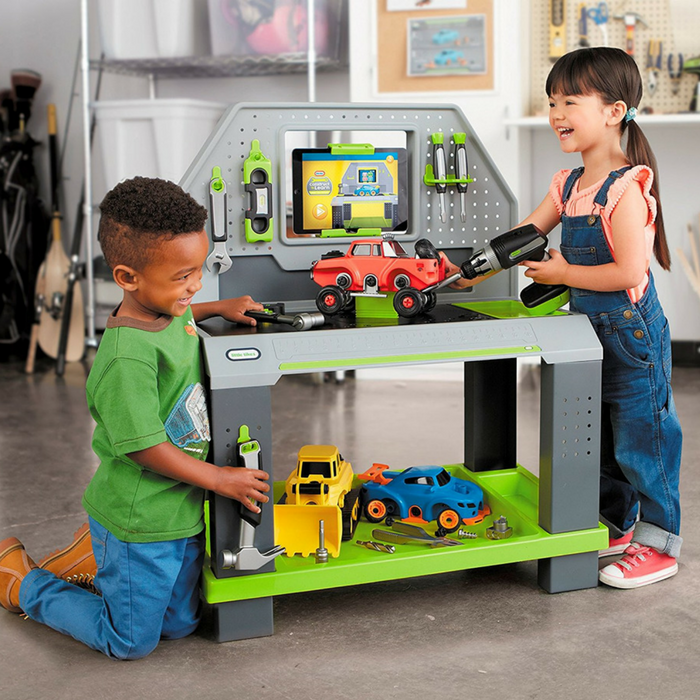 The only workbench set that lets kids build their own vehicles. It Includes three unique vehicles that kids can build, or they can create their own mash up for something different, the fun and learning never ends! If your little one is into cars and trucks and loves helping you in the garage, this is the perfect place to begin.